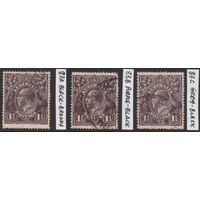 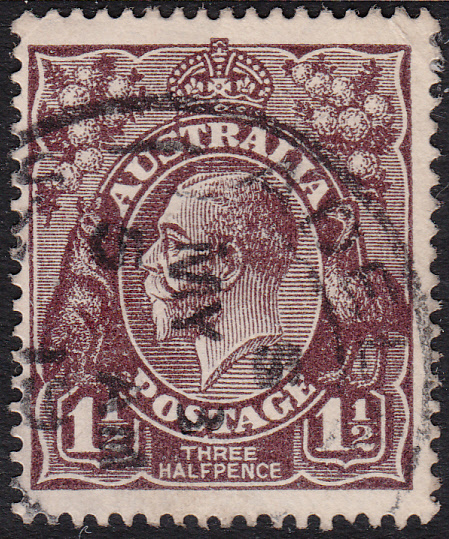 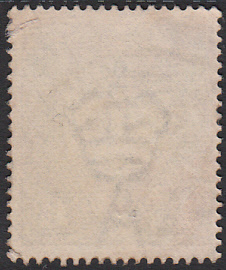 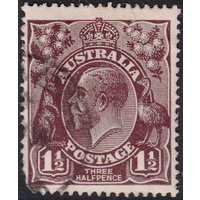 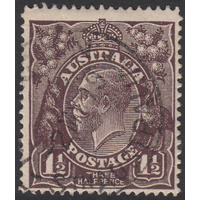 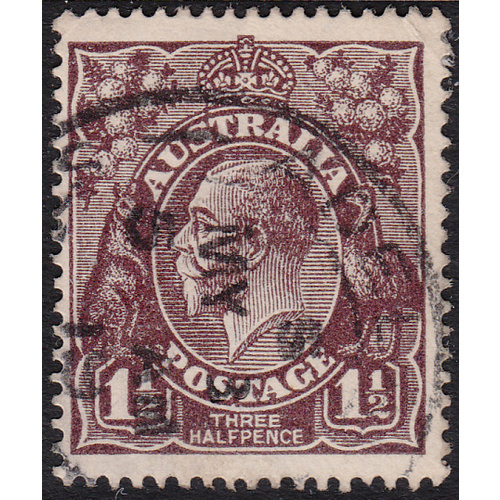 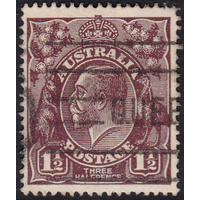 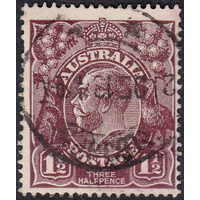 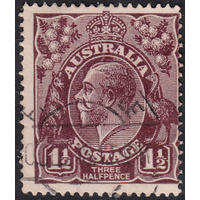 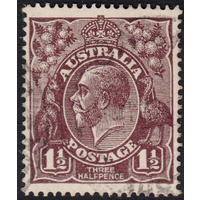 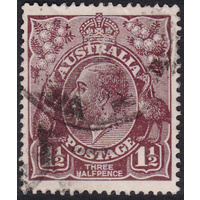 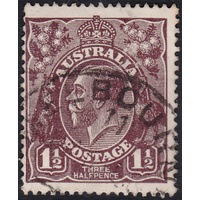 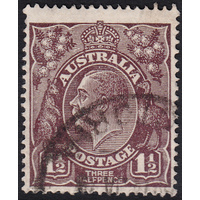 Australia 1918, 1&1/2d Black-Brown, Single Watermark, variety 2L34 (white spot below ST of POSTAGE) in Fine Used condition with a small diagonal crease across white margin of the top right corner. 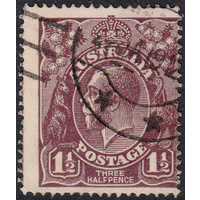 Centered slightly left with a circular datestamp cancellation just clear of the variety. 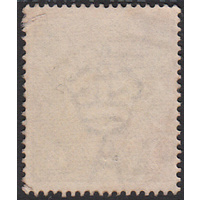 BW 84(2)g.